To stay within the social media general solicitations of feedback exemption to the Paperwork Reduction Act, we need to make sure that we’re using polls to get low stakes, voluntary input from users. Keep your polls fairly light and avoid asking about anything that will be used in the creation of formal policy or rule making. Polls are active for 24 hours each, and are preset from the time you started your poll (though you can end it early if needed). Twitter doesn’t currently allow photos or other media within polls. Keep your poll choices short and sweet- each is limited to 20 characters max. Polls eat up some of your tweet characters, so make sure your call to action is no more than 116 characters. Voters will receive a push notification to view the results when the poll closes. Votes are private – pollers and pollees alike will not know who voted. Only one vote per tweep. Tweeps can respond, share, retweet and like polls just like any other tweet. 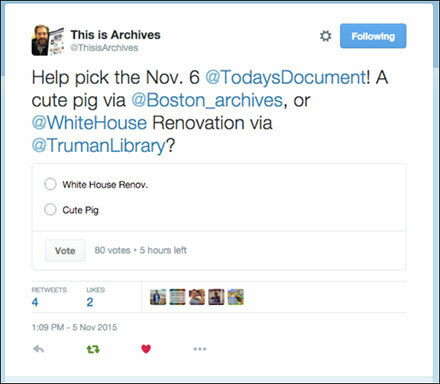 Our first poll was a very low stakes test, via our @ThisIsArchives account, where each week a new NARA staff member shares their daily experience. This week is being managed by Darren Cole, the face behind the popular Today’s Document. 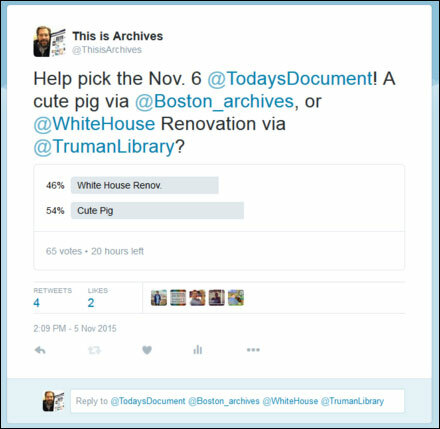 Twitter users had the choice of a 1950 White House renovation photo, or a really cute pig. 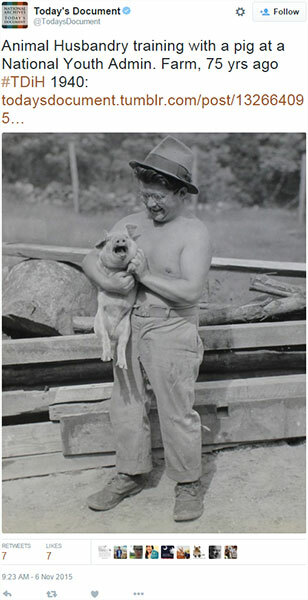 After 81 votes, the cute pig won by a snout! 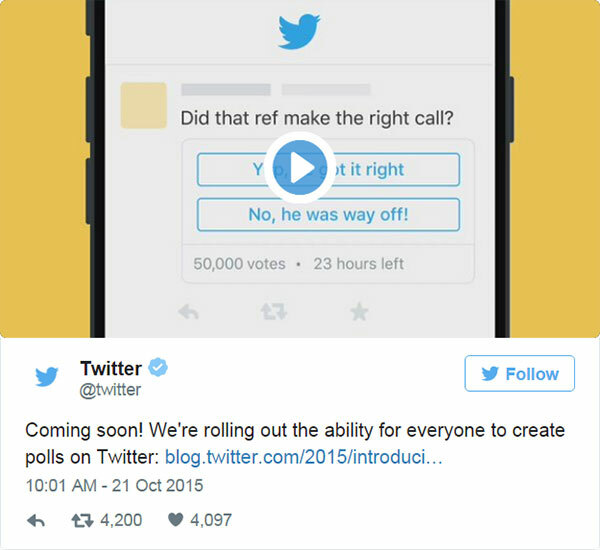 Want to know more about Twitter polls? Check out the basics. Happy polling!